Detail: Focusing on early painting styles that emerged in the regional courts of the Punjab hills of North India during the seventeenth and eighteenth centuries, this exhibition examines innovative ways of depicting the Hindu gods. 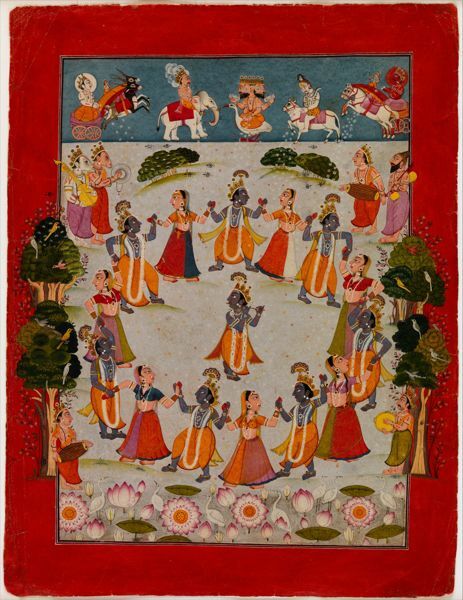 By juxtaposing devotional images with emotionally charged narrative moments, the paintings provided fresh means for royal patrons to forge a personal connection to the divine through devotion (bhakti). Highlights include an early nineteenth-century temple banner that has never been shown publicly.